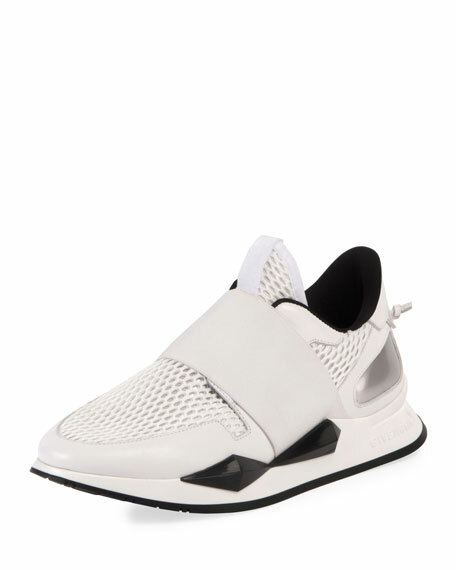 Givenchy mesh and patent leather sneaker. 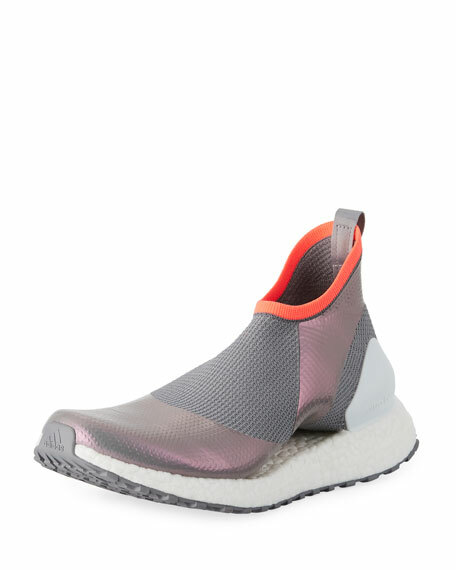 For in-store inquiries, use sku #2352412.
adidas by Stella McCartney knit-mesh sneaker with iridescent rubber trim. 1" textured flat heel with platform. Reinforced round toe. Pull-on style. Pull-tab at back collar. Reinforced heel counter. Stretch-sock insole. Boost midsole. Rubber outsole. "Ultra Boost" is imported. 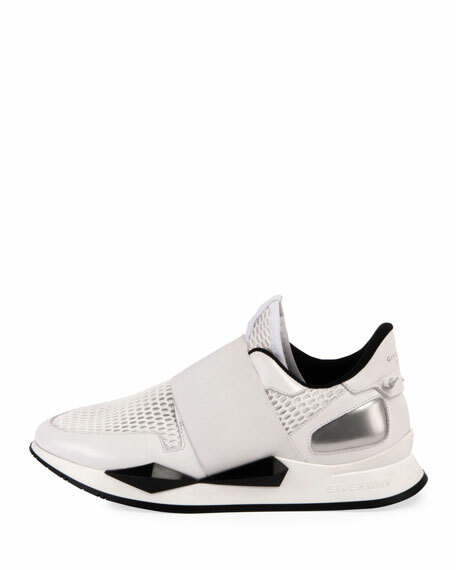 adidas by Stella McCartney colorblock knit-mesh sneaker with rubber trim. 1" textured flat heel with platform. Reinforced, round toe. Pull-on style. Pull-tab at back collar. Reinforced heel counter. Stretch-sock insole. Boost midsole. Rubber outsole. 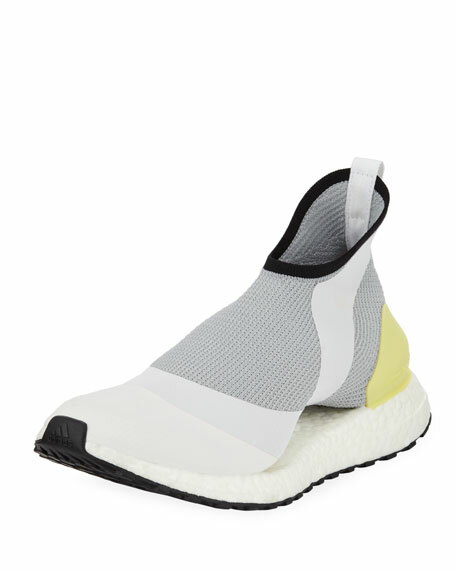 "Ultra Boost" is imported. APL: Athletic Propulsion Labs "Techloom Bliss" mesh sneaker. Flat heel. Reinforced round toe. Elastic strap front. Tabbed backstay. Slip-on style. Propelium midsole/outsole for maximum traction and extreme comfort. Rubber outsole. Imported.